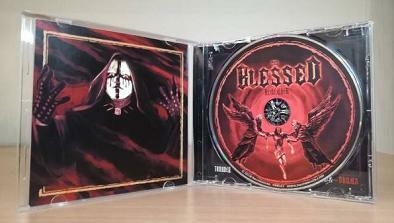 Let us introduce THE BLESSED – high powered melodic blackened death metal from Russia. 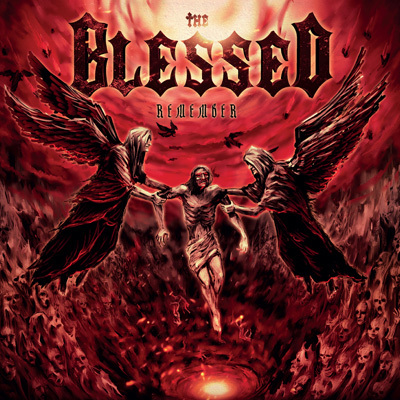 Formed in 2012, The Blessed have been working hard to hone their craft. Their efforts have been paying dividends, seeing them win support slots for such metal titans as Primordial, Marduk and Destruction. And now they have realised a further goal in recording their debut album “Remember”. Their work ethos even extended to this process in their desire to use only “live” instruments during the recording sessions: “We wanted to make a dynamic and aggressive album in the best tradition of metal, without synthesisers and emulators. That’s why you hear real drums and guitars recorded through tube amplifiers and cabinets”. Their music contains elements of different styles of metal combined into one cruel whole. Hard guitar riffs and machine-like drum parts are united with the wild, dark cries of their front-man. “Remember” will both hurl you into the underworld and lift you to the heavens. And the finishing touch on their sterling debut – a 20 page booklet full of custom artwork by Vladimir Prokofiev. 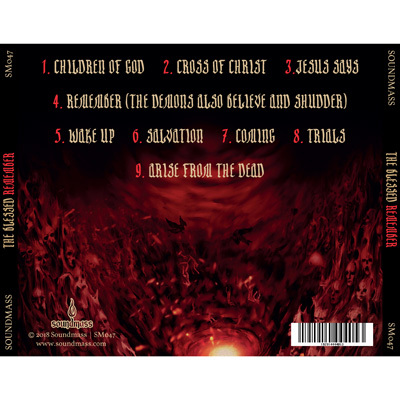 And for the Jesus Metal purists, all the lyrics are quoted directly from the New Testament, without any personal thoughts and conclusions added!